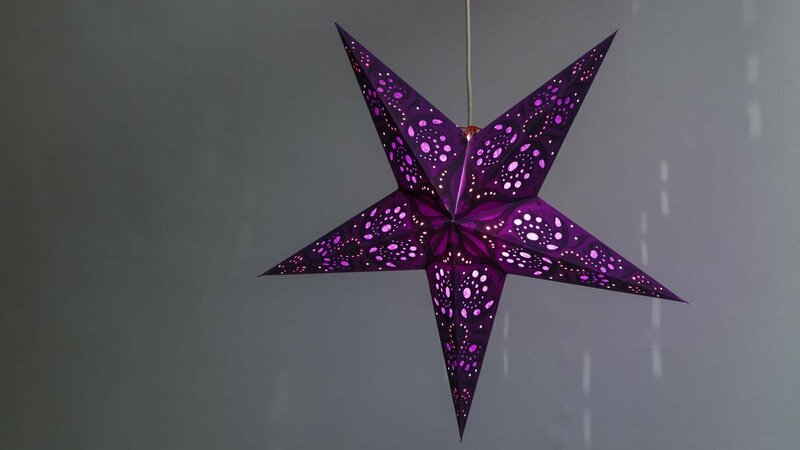 This luxurious deep violet lampshade produces a deep mystical glow and is a moody and exotic addition to any space. Rich teardrop-shaped violet jewels of light are set against a luxuriant velvety violet background and tiny perforations create an alluring twinkle. An intricate screen-printed design adds the final flourish of Lace. 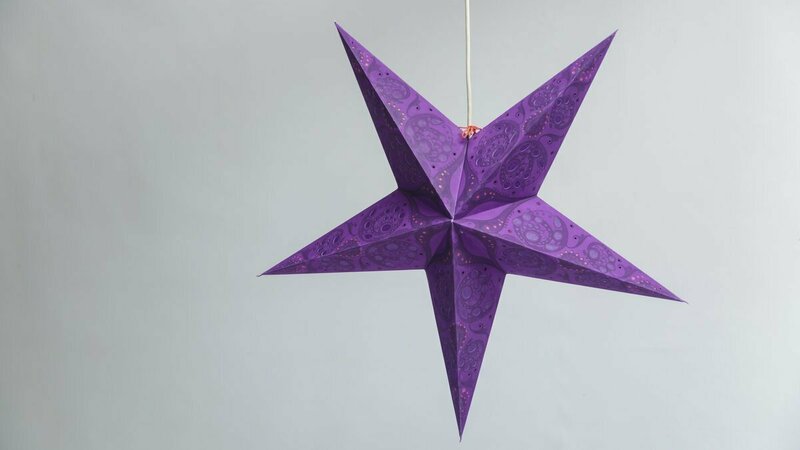 This hand-made 5 pointed lantern is most at home in bedrooms and chill out spaces, transforming them with a deeply atmospheric rich violet glow. It's subtle illumination and midnight tone make it the perfect nightlight or mood light that isn’t best for reading.